Vista Industrial Products, Inc. works with various types of metal alloys to manufacture parts. Here are some of the common materials we use, different material properties, as well as the different material thicknesses we work with to fabricate sheet metal parts. How many sheet metal types are there? There are as many types of sheet metal as there are types of metal. If an alloy can be stretched out into a sheet, that is all it takes to be sheet metal. Sheet metal is categorized by their alloy, thickness, and then further categorized by its hardness, method of manufacturing, tensile strength, and quality. With all these different variables, the types are endless. 1018 is a very common low carbon steel that is easily formed, machined, and welded. A366 / 1008 is commercial quality steel that is easy to form and high strength with a good surface finish. A36 is a very common mild steel. It is much easier to form than CRS 1018, but more difficult to machine. A653 Galvanized is a steel that contains zinc coating for protection against corrosion. CRES 304 is the most widely used multipurpose stainless steel which is easy to weld and form. CRES 301 is commonly used for fasteners and springs which offers better wear resistance and fatigue than 304. This type has good weldability. CRES 316 has great corrosion resistance compared to 304, so it is best used for chemical processing applications. This type has good weldability and temperature resistance. CRES 303 is a good material to machine, which makes it best used to create screw machine products. It is also good for corrosion resistance and temperature. CRES 410 is commonly used for fasteners, machine parts, and shafts since it can be heat treated for extra hardness and extra wear resistance. 5052-H32 is the most common alloy we use. It has excellent corrosion resistance, easy to form, and easier to weld. It is not heat treatable and nonmagnetic. 6061-T6 is a multipurpose aluminum with good strength, corrosion resistance, and machinability. It is heat treatable but nonmagnetic. 2024 has great strength compared to mild steel, but weighs a lot less and has less corrosion resistance than 7075. It is heat treatable but nonmagnetic. 7075 is a very strong and lightweight aluminum with better corrosion resistance than 2024. It is commonly used for aircraft parts which is where it gets its common name "aircraft aluminum." The most basic question is 'What is sheet metal?' Sheet metal is metal that has been formed into a sheet that is thinner than bar stock, but thicker than foil. Sheet metal can vary in thickness and types of metals. However, the most common thicknesses are less than ¼" thick. Generally, when a sheet of metal reaches a critical thickness and cannot be used on a turret punch, but rather a CNC machine, it is called a plate. Usually this includes sheets of metal that are 3/16" or thicker. Plates are categorized by their thickness and labeled by it as well. 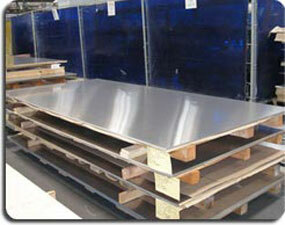 Quarter inch steel hot rolled plate is just called, ¼" HRS (Hot Rolled Steel). Sheets of metal thinner than 3/16" are categorized by thickness as well, but the actual thickness is converted into simpler numbers referred to as "gauges" for steel. As the thickness decreases, the unit in gauges increases. There is a completely different system of metric measurements that are less commonly used in the United States. Here at VIP, we have had the experience in working with all types of sheet metals and thicknesses. In addition to sheet metal, we also specialize in CNC machining, welding fabrication, mechanical assembly, and metal finishing. If you are interested in VIP quoting your parts, please read our FAQs for a request for quote.